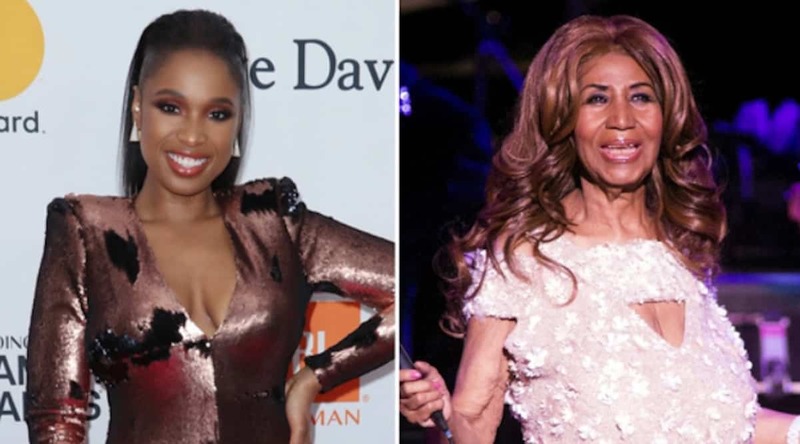 Jennifer Hudson has been tapped by MGM to star in an upcoming Aretha Franklin biopic, according to sources. The big news was allegedly revealed during Clive Davis’ pre-Grammy party, and Clive said Franklin had “personally selected” Hudson for the role. The film will be produced by Scott Bernstein (“Straight Outta Compton”) and music producer Harvey Masons. Will she do the Queen of Soul justice? Jennifer probably will, but I’m wondering will it be a watered down bio cause Ritha has a very ‘rich’, interesting history, hmmmmm. He probably survived by drinking blood at those spirit cookings!! Lol. his proteges were heavy drug users too. not hard to out live that. Also this chicks fam and lord knows how they tortured her nephew before they killed him…all for her to be the next whit….smfh. Same stories over and over … same actors over and over…. same tragic scripts over and over….nothing has changed in all these years. I completely agree.. Glad someone deflated Aretha’s delusion. Wonder which Masons, SR. or Jr.??? Perfect. She screams when she sings just like Aretha. ReeRee has been strong in her life with family problems, unlike others less known. Much love to her and Jen.